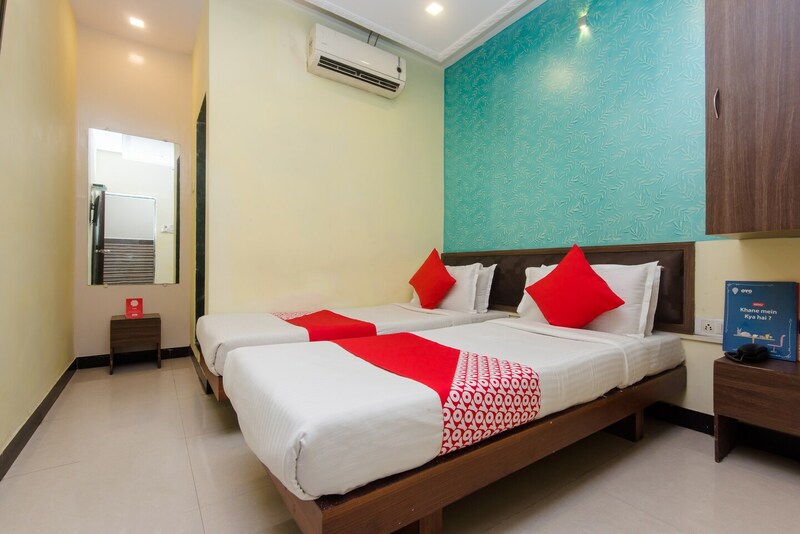 Simply decorated cozy rooms with modern amenities situated near many lip smacking eateries. Amana Suites in Mumbai is a welcoming and modern-day hotel with a simple architecture and a warm ambience. The bedrooms at the hotel have light colored walls and dark wood furnishings with a section of the wall covered with wallpaper, lending the rooms a cozy and comfortable ambience. The hotel provides its guests with free Wi-Fi so that they can remain in contact with the various social networking platforms. Other amenities offered by the hotel are laundry service and CCTV cameras. Nearby areas include the popular BKC which is teeming with world-class restaurants like Celini and The Earth Place and cafes. Pay your respects at the Siddhi Ganesh Mandir or visit the monastery at Mahakali Caves.